If you sustained injuries as the result of a slip and fall accident, you may have a legal claim for compensation. Slip and fall accidents typically involve a hazard or unsafe condition in a public place. A misplaced cord or faulty step could lead to the victim slipping, stepping wrong, or falling down. The subsequent medical bills, care costs, and lost wages can add up quickly, and the future cost of care and rehabilitation may be substantial after a fall. 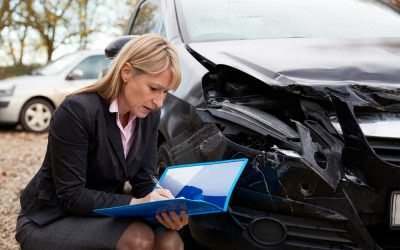 If your accident took place because of someone else’s negligence, you may pursue a claim for compensation. At the Law Firm of Anidjar & Levine, we can help you throughout every step of the claims process. We can assemble the necessary evidence to substantiate your claim and negotiate with the at-fault party’s insurance company on your behalf. Call 800-747-3733 today to schedule a free case evaluation with a slip and fall injury lawyer in Cape Coral. Does it matter how my slip and fall occurred? Slip and fall accidents commonly result in neck and spinal cord injuries, traumatic brain injuries, broken bones, joint dislocations, and, for almost 3,000 people in 2015, wrongful death. Victims of slip and fall accidents may suffer serious injuries, requiring extensive medical treatment, long hospital stays, and lengthy rehabilitation—all of which come with hefty medical bills. According to the Florida Department of Health, slip and fall injury costs in 2013 were almost $4 billion, with the average victim’s hospital bill coming in just under $50,000. These costs do not include lost wages, patient care, or rehab costs, nor do they include future loss of income or medical treatment. If someone else’s negligence caused your injury, we can help you pursue compensation. We must prove that a property owner’s negligence led to your accident and subsequent damages. Then, a court can compel the at-fault party to compensate you for your injuries. How do you prove liability in a slip and fall accident? Florida’s premises liability laws require property owners to provide a reasonably safe environment for visitors. Property owners must repair or provide adequate warning about any potential hazards. If a property owner becomes aware of a cracked or broken sidewalk, for example, they could place a barricade over the damaged portion of the walkway and provide the public with a safe path around the hazard while waiting for repairs. If the property owner knows that a hazard exists but does not take appropriate steps to correct it or bring it to the attention of visitors, they may be liable for any accident that occurs. What if a property owner is unaware of a slip and fall hazard? Even if a property owner was unaware of a hazard, they may still be liable for your fall. If the property owner in your case claims they were unaware of the hazard, we can show that they should have known about it under the reasonable person standard. If a reasonable person with the same level of knowledge and experience as the property owner would have known about the hazard, then the owner in your case should have known, too. How does negligence apply in my case? We can demonstrate your damages with medical bills, care costs, and lost income. If you have not already done so, seek medical treatment immediately after a slip and fall accident. Even if you do not believe you suffered any damage, a medical evaluation may identify latent injuries. Be sure to tell your doctor how your injury happened so they can record the cause in your medical records. Your next priority should be to contact us immediately. We can assist you in gathering evidence to support your case. The property owner’s insurance company may attempt to contact you for a statement or to convince you to settle for a small payout. We can ensure that you do not sacrifice any of your legal rights or accept a lowball settlement. We will obtain witness statements, photos or surveillance footage of the accident scene, any history of past accidents at the property, and other evidence that may help to build your case. The value of your claim will depend on your injuries and your prognosis for recovery. We will gather records such as medical bills, wage statements, care cost receipts, and proof of other damages you may have incurred to determine a dollar value of your claim. In addition, we will use doctor and medical expert opinions to substantiate any future medical costs, rehab costs, and expenses you will face due to long-term injuries or permanent disabilities. Depending on the circumstances, we may also include future lost income, pain and suffering, and loss of life’s enjoyment in your claim amount. Our lawyers can discuss your case today—for free. With the Law Firm of Anidjar & Levine on your side, you get an advocate to fight for you. We will protect your legal rights and make sure the insurance company does not attempt to take advantage of you. We will explain your options and provide counsel to help you make the best possible choice for your future. We offer complimentary consultations and case reviews. Call 800-747-3733 today to schedule an appointment or to speak to a lawyer.